Yon has been one of the most productive members of the space since it has opened in February of 2018. He has several projects under his belt that include many of the skills taught here. You can search his name in order to find some of the projects he's completed so far! 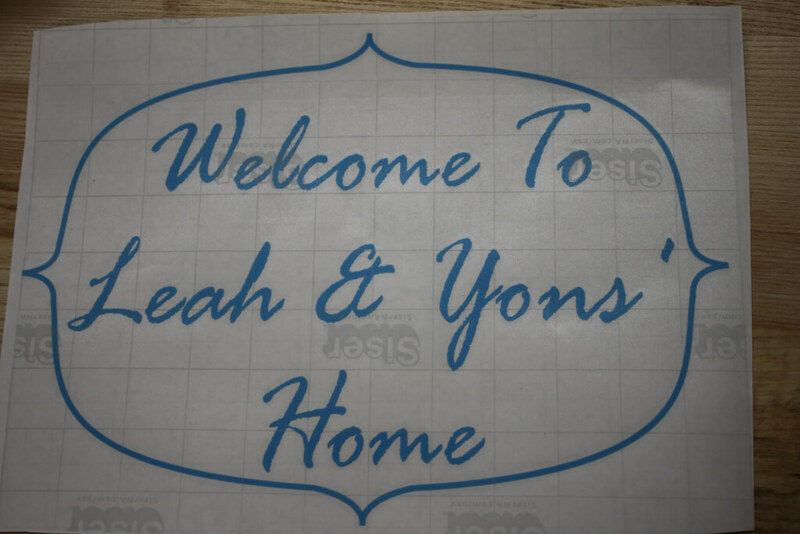 This particular project was about home improvement, as he wanted to create a sign for his door welcoming guest. He accomplished this by using the Design and Build Lab's vinyl cutter, creating a large sticker to attach to his apartment door. Yon created the design from complete scratch in the 2D CAD program, Inkscape. 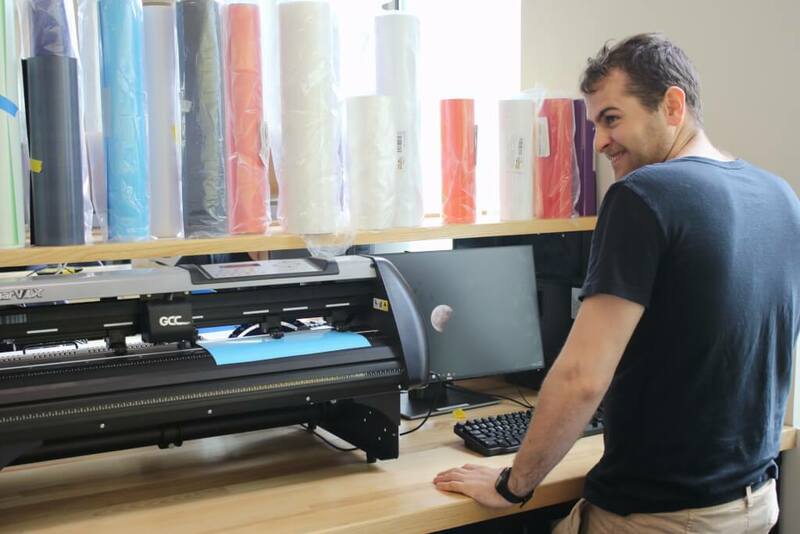 He then learned from the Creative and Technical Specialists in the lab how to cut the design, and use the adhesive backed vinyl to create a sticker from it. It is now proudly on his door!